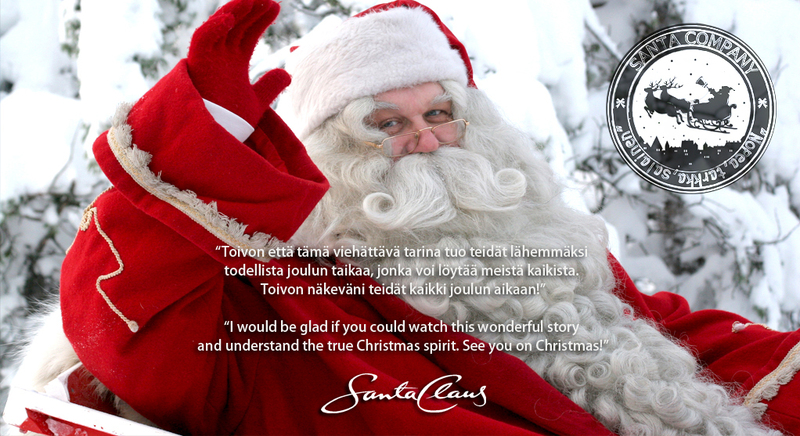 To buy Santa Company please click this sentence. 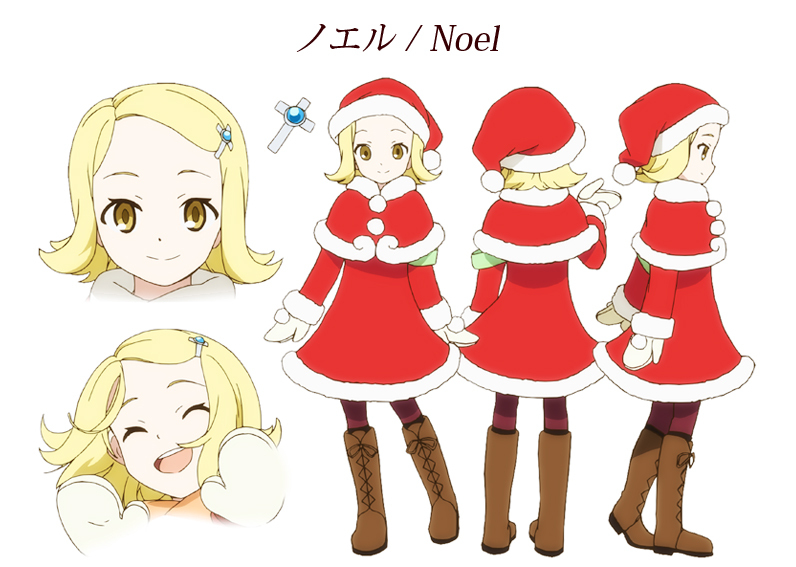 Noel White is the last among her friends to graduate from being a trainee at Santa Company and has to get her blank green arm band to shine the Santa Company emblem before the end of the night. If she doesn’t succeed, Noel will be kicked out of the company. 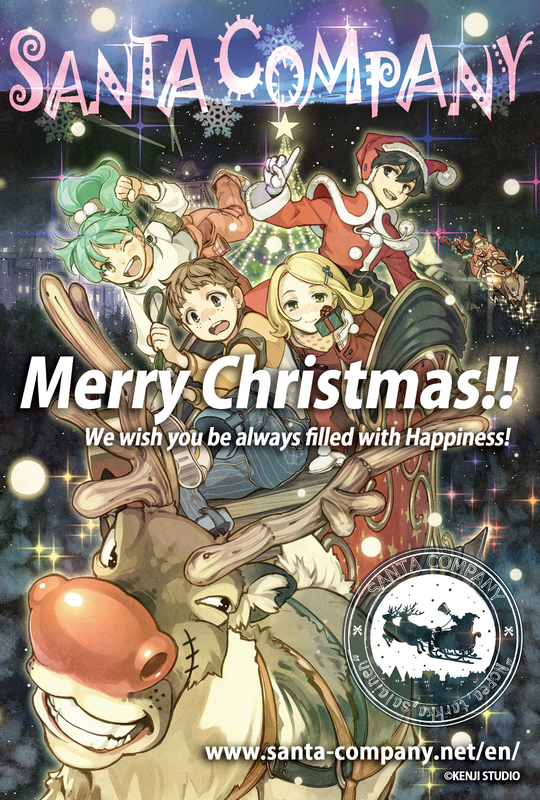 After seeing the riders fly off, Noel and her trio of friends discovers a person delivering a late letter to Noel’s dad which according to him is just a present that’s not possible to deliver at this time. Noel and friends secretly scheme and take on this challenge at the risk of Noel residency. Personality: Happy, cheerful, and daring. Personality: Business man, strict, and Grrr don’t call me Daddy. 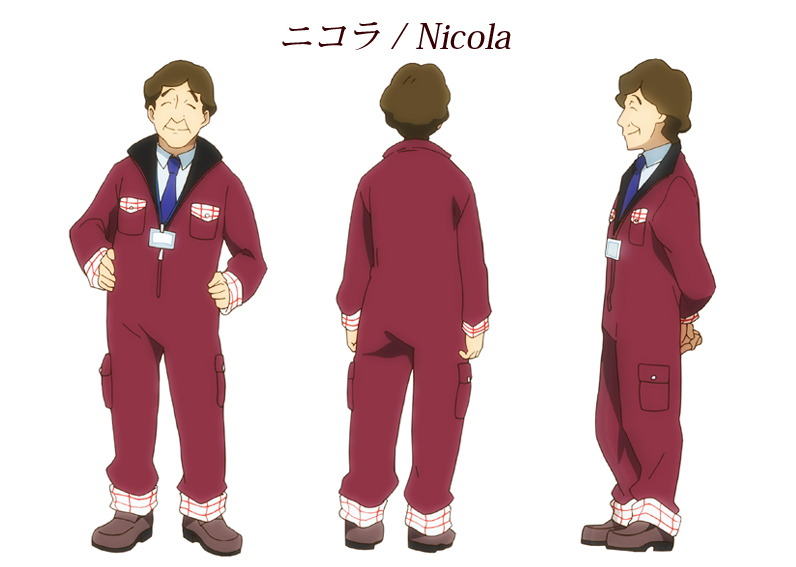 Role: Supporting character, Father of Noel, and higher management at Santa Company. The animation is smooth, alluring, and top notch. The characters designs properly scaled and properly tone to their age. I didn’t spot any false shadowing or any other animation error. 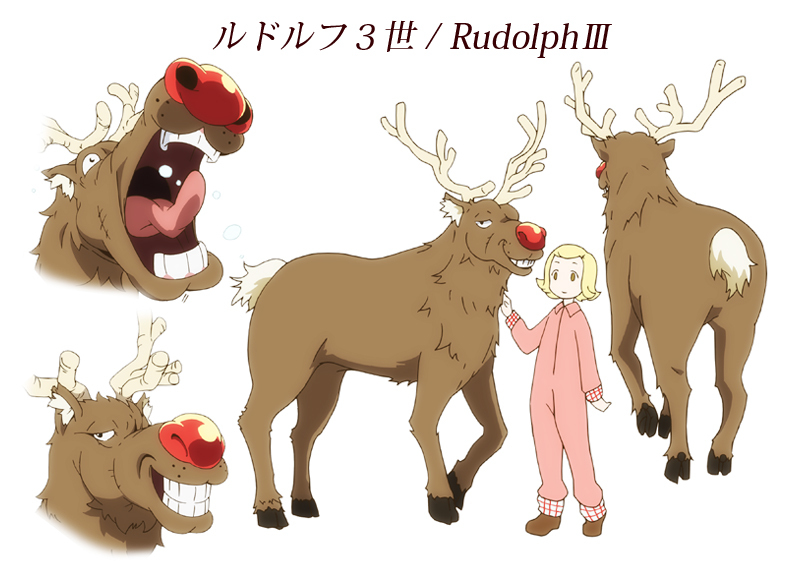 My one gripe though is how the reindeer are structured. When these animals are typically draw their slim in body structure and muscle tone, but here their drawn like moose or yak in structure and beefed up like Roah’s war horse from Fist of the North Star, and the background reindeer sound like the Wampa from Star Wars: The Empire Strikes Back. I will I’ve never seen this breed of deer up close and how their drawn/scaled could be more relatable to how the children seen these woodland kings, but it just stands out. Animation Rating: 3.75/5 (B) A treat for the eyes. The background music is whimsical as woodwinds and strings would play through the majority of the music as the occasional percussion ensures the intensity of the scene. It does well to stress what the situation is dealing with either a joyous occasion or a dire conflict. A side from the Wampa sounding reindeer another strange choice for sound effect is a Pok’e ball pop sound can be heard as Thomas gets plucked out of a Santa’s bag of holding. Sound Rating: 3.5/5(B) not bad for atmosphere. 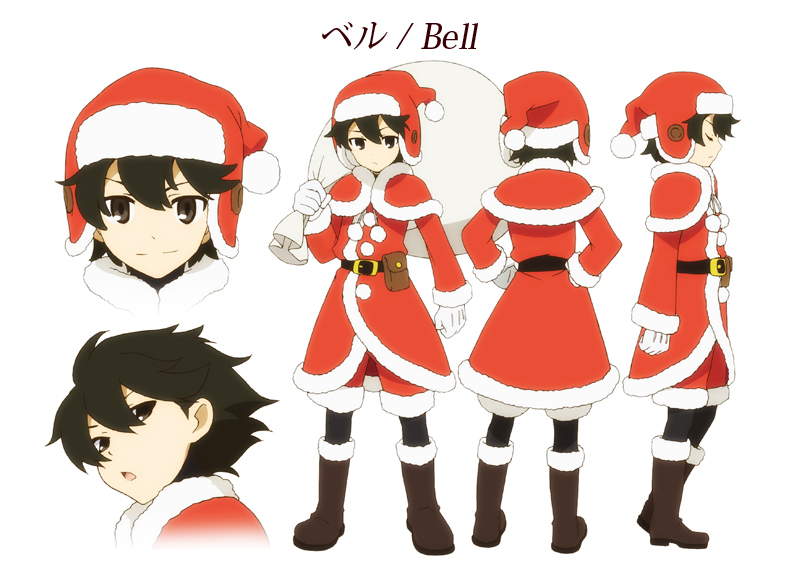 This OVA is rather enjoyable as it adds one more item to watch during Christmas. As Noel fight for the right to give everyone a great Christmas morning, those lame authoritative adults will tell them that they are too young to go footloose and take on adult duties of delivering presents and the true meaning of Christmas. 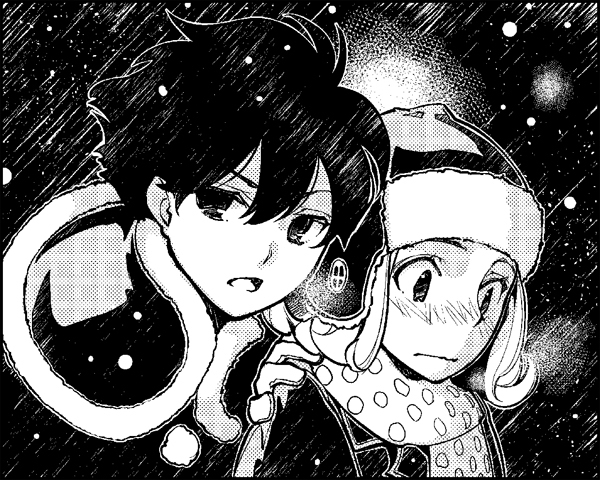 This story is light hearted, does a good job to bring in the holiday spirit, and gave me an unexpected resolution to an event. While the story takes place, the character at the beginning mention an event from the previous year. 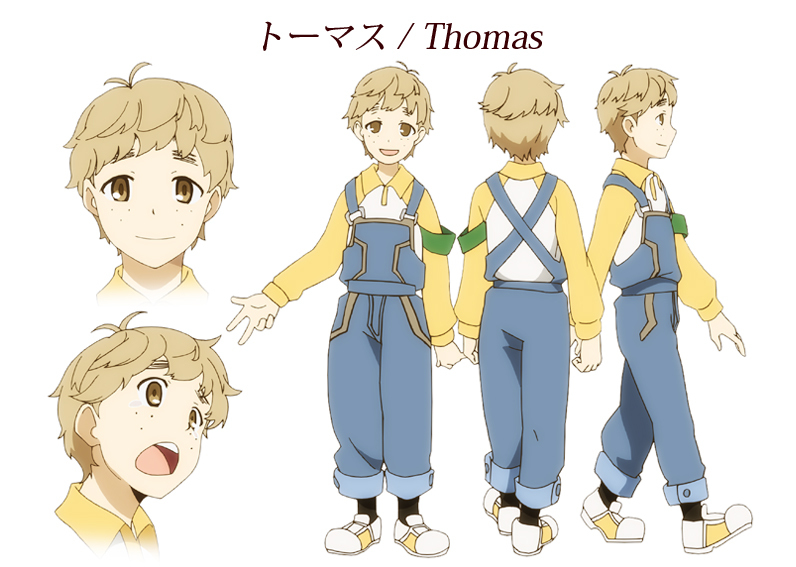 I’ve heard a rumor that this OVA is a sequel to the light novel while the picture book, which comes with the movie, takes place before Noel’s adventure. The art in the picture book made Mint and friends look like they belong in a Charlie Brown comic strip. The architecture reminds me of the Finland with the buildings being log cabins and windmills, but I did not spot a cookie once and that makes me an un-jolly Santa. Also wolves are monsters. In one scene a “pack” of wolves are chasing one of the four. This scene stands out to me because during the howls the shot pans around the winter wilderness. This is where I think the audience is supposed to see the ferocious wolves run. On the other hand, it could just be that the scene is just showing that the wolves are nearby but at a distance away to show that the kid has time to run. With either option being said I’ll side with the movies decision, but it’s an awkward approach. 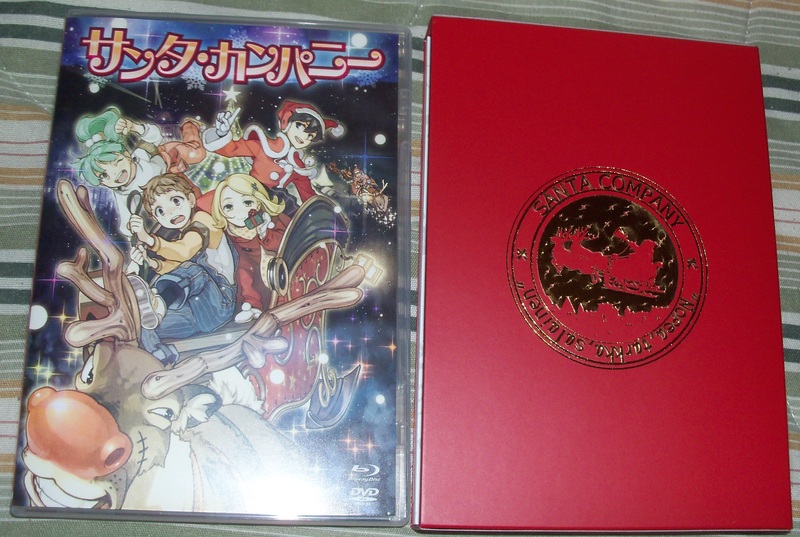 I got this from the first KickStarter campaign and the only snobby compliant I have is how dare they premiere the OVA at the Tokyo International Film Festival (TIFF) before sending me my copy. Pfft, it’s like they show it there in order to get polls from test audiences to make sure that the studio can make some touch ups on animation errors, story plot hole, or to see the product is enjoyable. How dare they make smart decisions, Grr! 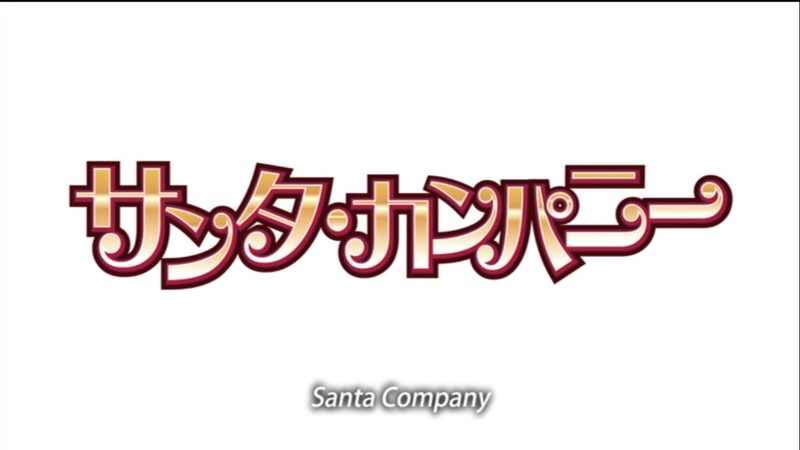 Plot: 3/5 (C) It’s a generic story about the true meaning of Santa Company. Performance: 4/5 (B) With top tier voice actors involved and smooth animation this was pleasing to watch. Pace: 3.5/5 (B) It’s twenty-eight minutes long and feels like a twenty minutes to watch. Take it as you will. Characters: 3.5/5 (B) The characters are scamps who get into trouble to save a little girl’s Christmas. Production Quality: 3.63/5 (B) Animation: Smooth. Sound: For the occasion. Pro’s, Con’s, and other thoughts: 3.25/5 (C) Overall its enjoyable, but it felt that some back story was missing. Overall total: 3.48/5 (C) It did take too long for the release, but it is a good Christmas watch. 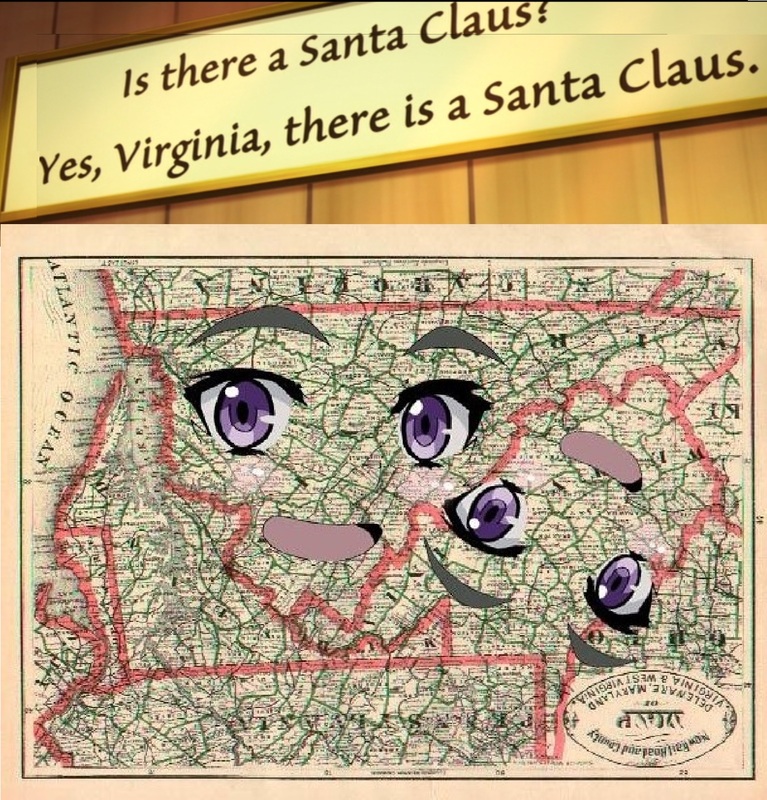 If you’re not offended by the Christmas holiday or keeping the Santa in Christmas, then most people should not have a problem with this OVA/Movie. 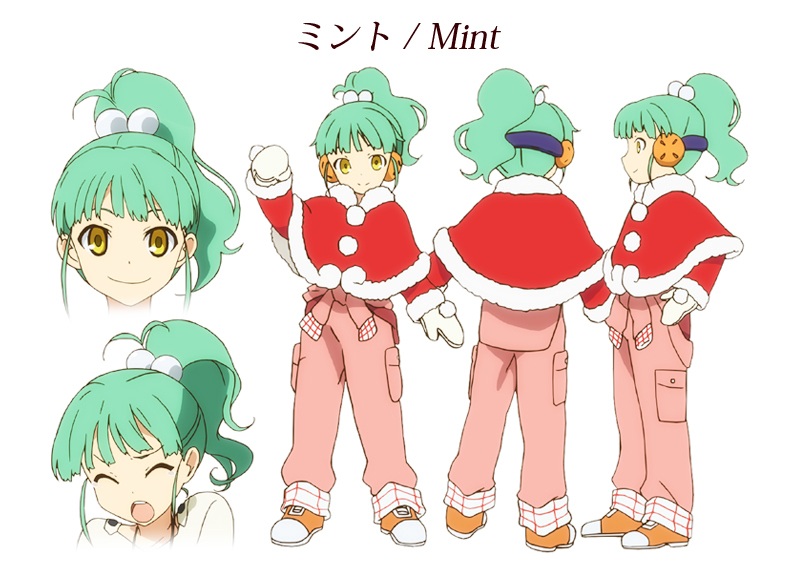 The Movie explains them as workers who earned their place at Santa Company. The word itself originated from a Celtic mythical creature as the Finland subset of a Brownie. What is a Celtic Brownie creature? This will explain some confusion from Fantasia. Brownies are sprites who love to help humans, but if angered they will destroy what the love or morph into a Bogie (Troll… hmm I think Roll’s name from Fantasia was supposed to be troll). Their diet is crème and bread (cake) laid out for them. 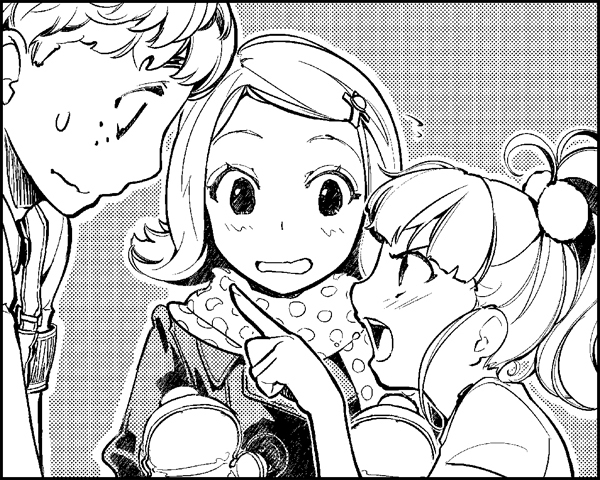 They have can befriend animals especially bees. They can be sent away if another human looks at them, given human clothing, or baptized? So sort of like Dobby the House elf from Harry Potter. What makes Tonttus different from Celtic Brownies? They float around in human clothes and may bless a human with prosperity and wealth. 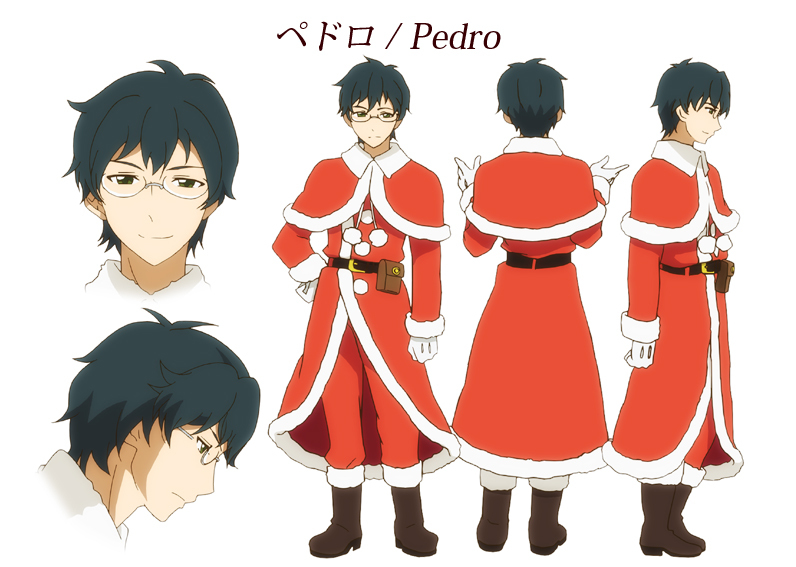 This entry was posted in New Anime Brew and tagged Aesthetica of a Rogue Hero, anime, anime review, Ayumi Fujimura, Bell Crystal, Brownies, Celtic, Chaika, Chiakaginia, christmas, christmas anime, divorce, ED Kyōran Kazoku Nikki, Fantasia, fantasy, Fantasy Anime, Finland, Haruka Tomatsu, Haruka Uehara Kyōran Kazoku Nikki, Hayate the Combat Butler, Hiroki Touchi, Japan, Japanese, Kenji Itoso, KENJI STUDIO, kickstarter, Mint Rondo, New Anime Brew, new anime Fall 2014, Nexus, Nicolas White, Noel White, Pedro Rondo, Personality, Rie Kugimiya, Rie Kugimiya the Tsudere Queen, Rudolph III, Rudolph the III-rd, Santa, Santa Anime, Santa Clause, Santa Clause the Barbarian, Santa Company, Santa Maria, Takahiro Sakurai, The Girl from Phantasia, The Tsudere Queen, Thomas Dow, Tonttu, Troll, Virginia, Yes Chiakaginia, Yuuki Kaji, Yūichi Karasuma, Yūsuke Itagaki.